The castle is easily accessible. 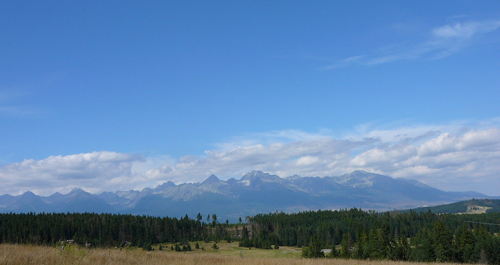 It is visible from the main road between Žilina and Martin. 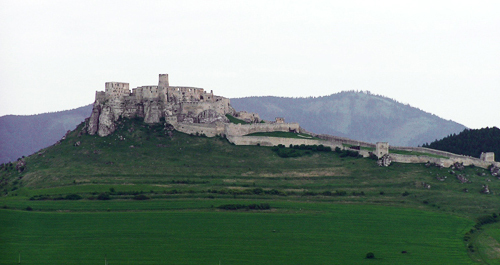 The castle is situated on the outskirts of the village Strečno, there is a car park at the castle. Following the stairs you will get to the castle. The Castle history dats back to the 14th Century. In the past, it was a Royal Castle and a watchman castle. In 17th Century the castele was destroyed by imperial army. Until its destruction it belonged to several owners such as Baláš family, Esterház family, Paul Kiniži, Kostkas brothers or the cruel Vesseléni. Vesseléni’s wife Žofia Bošňáková is well known for good heart and help to the subjects. 45 years after her death Žofia Bošňáková’s body was found in a crypt intact. Her remains were taken to the church in Tepličke nad Vahom. In the castle chapel crypt you can see imitation of her body. 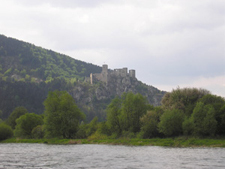 In the 15th Century Strečno Castle was owned by Pongrác family. It was renovated and its original architecture was preserved. The castle is located on high limestone cliffs of more than one hundred meters above the river Vah. It belongs to the national cultural heritage. You can find the renovated chapel, Northern, Southern and Eastern Palace, main gates and the main tower. In addition to these parts, there are other parts in good conditions. There is a castle well and north tower, artillery fort, renaissance fort and baroque fort. There is a very good view at the castle surroundings from the castle tower. The oldest part of the castle is a prismatic tower with a Gothic chapel and the palace from the 15th century. 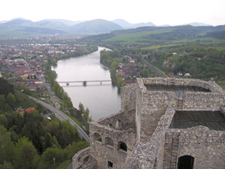 Strečno Castle is a favourite tourists destination. Inside the castle you will find archaeological museum with excavations from the castle as well as castle model before the renovation. The castle holds various exhibitions and events. It is open for public from the 1920s. 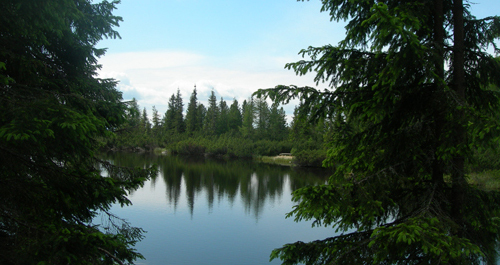 It is accessible from May to October for a fee. During the summer, at weekends various events are held on the Strečno Castle such as Castle Days of Žofia Bošňáká, hawkers meetings, blacksmiths meetings, or night trip to the castle. 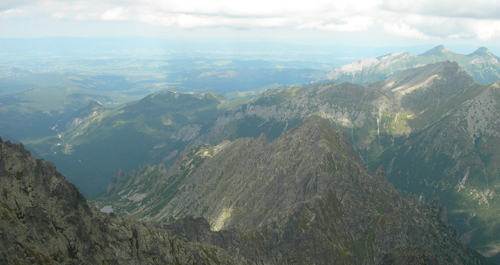 The castle is a starting point for hiking in Malá Fatra.